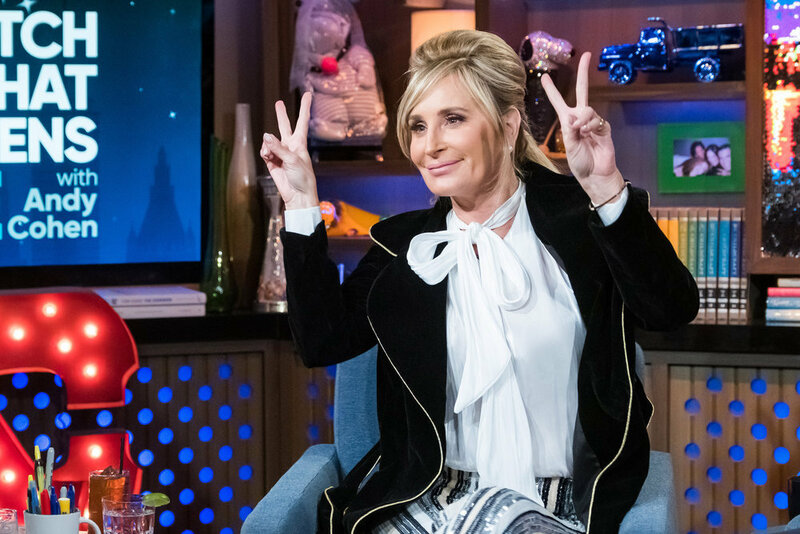 Sonja Morgan Says She Slept With Rod Stewart & Comments On Ramona's Remarks About Dennis Shields "Being On Drugs"
That was an appropriate comment. 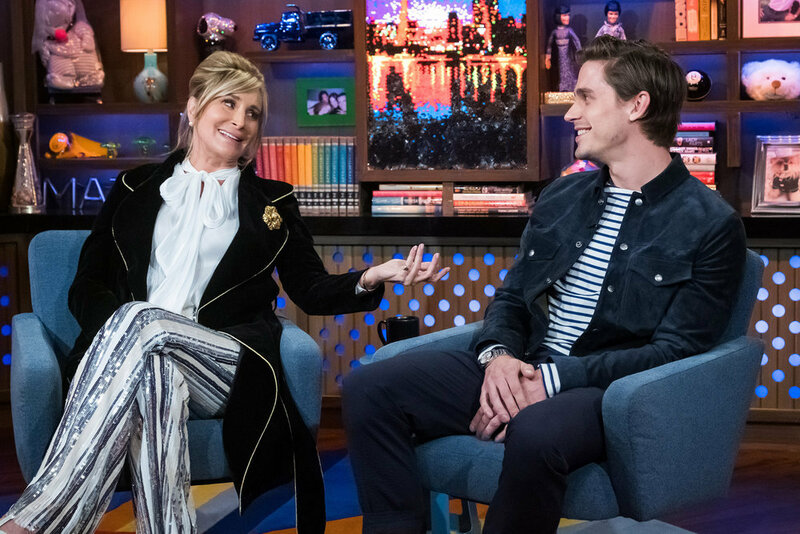 In contrast, Ramona said something absolutely awful about Dennis during the last episode. She said “How smart can Dennis be? I mean, he was on drugs.” Wow. 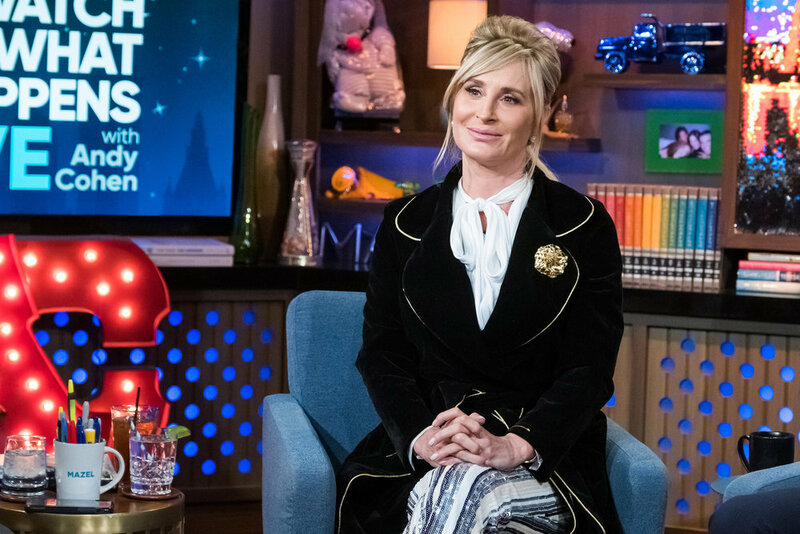 Before the episode aired, Ramona apologized on social media. But, does that make up for the remark? 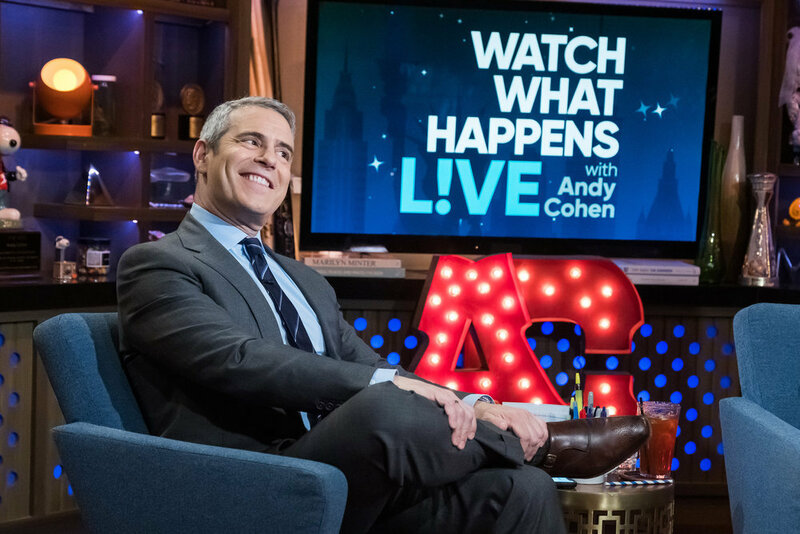 What does Bethenny think about it? She hasn’t commented yet, but Sonja did. Well, sort of. 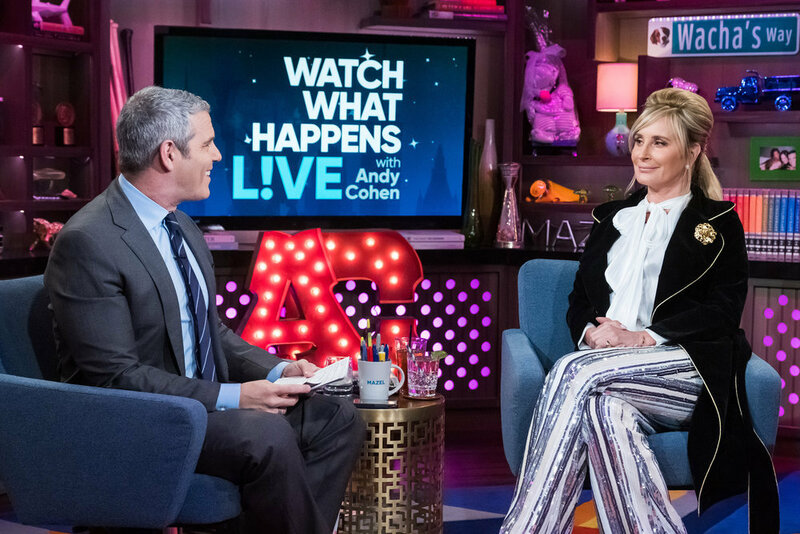 Sonja said Ramona is “getting much quicker on the apologies obviously. Normally, I have to pound it in her. I’m proud of her.” Proud? Why? For trying to do damage control? 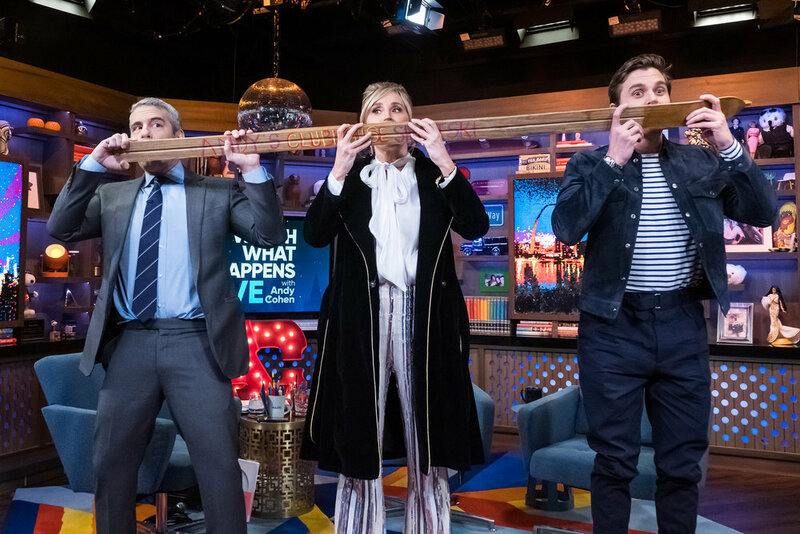 Sonja answered a question with a question: “Why do you keep nailing me on these things?” No one even asked her about this. She’s the one who revealed this information on her own. And this is why I love her. She is the gift that keeps on giving. 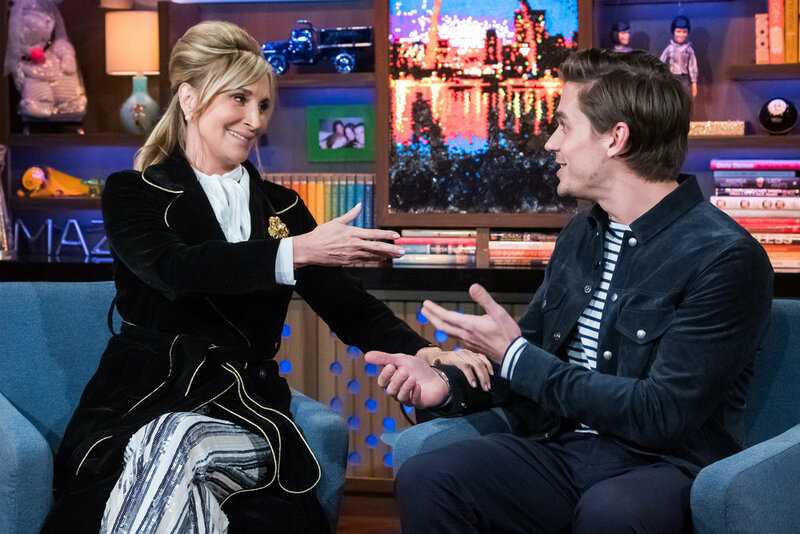 To conclude the episode, Andy asked, “What was your reaction to the photos of Ramona and Harry making out?” Sonja did not hold back. She began, “Oh my god. I was repulsed.” Then she said, “I mean, I don’t want to make out with Ramona. I don’t want Harry making out with Ramona. OK? I’m not mad at Ramona, but I’m so upset with Harry. Don’t propose to me. Don’t throw rings at me. We dated thirty years ago. You cheated on me. We broke up over that. Then, you married Aviva [Drescher]. She threw her leg. You came back to me. 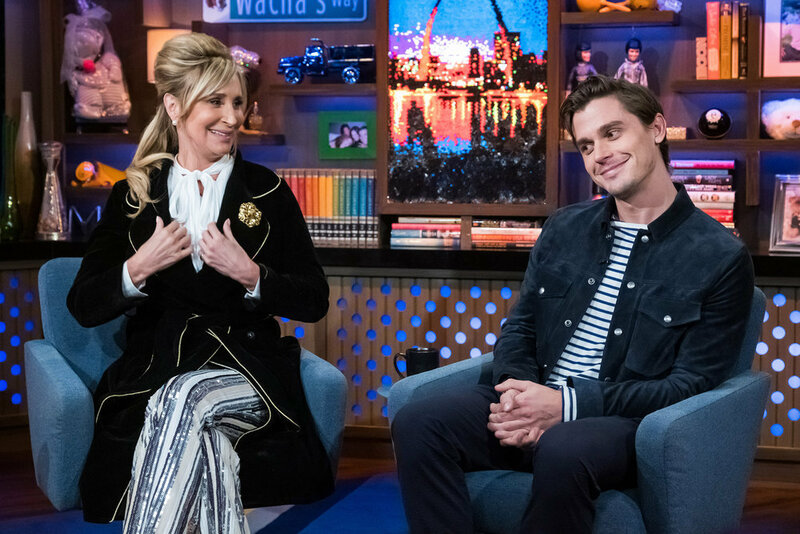 I went on a picnic with you on my show…” And she didn’t get to finish her sentence, but I assume she was going to reference that incredibly vague promise ring he gave her. 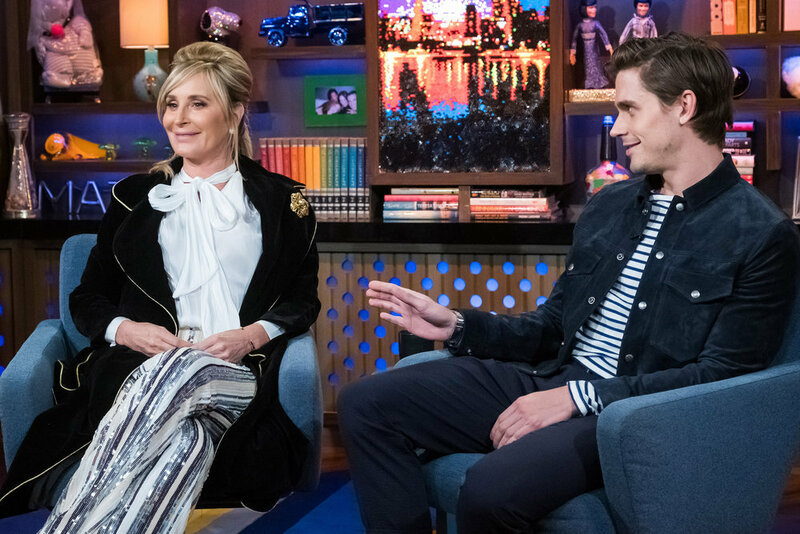 When is Sonja going to “write” write a book about her life? That’s a Housewife autobiography that would be worth reading. 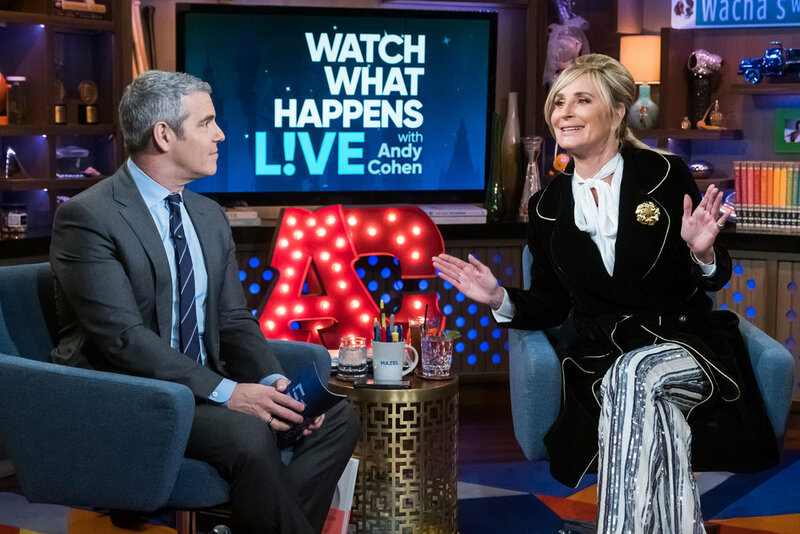 Click through the photo gallery below to see pictures of Sonja Morgan and Andy Cohen on Watch What Happens Live. 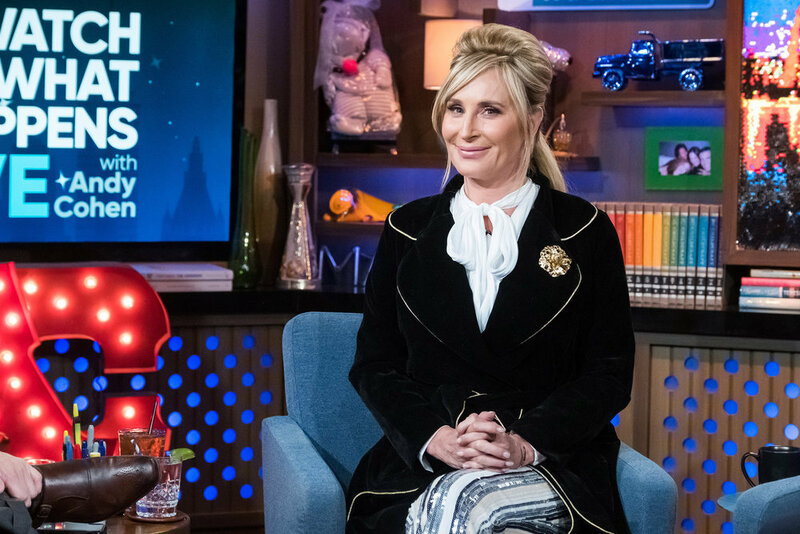 TELL US- WHAT DO YOU THINK ABOUT SONJA’S REACTION TO RAMONA’S DENNIS COMMENT? ARE YOU SURPRISED SHE SAID SHE’S BEEN WITH ROD STEWART?